Americans have been taught that the government and their employers are going to take care of them in retirement, Kotlikoff said. Thats a big mistake. The idea that spending more is the only way to boost the economy is "uneconomic," Kotlikoff says. Boomers will be retired for longer than older generations, according to Lawrence Kotlikoff, professor of economics at Boston University. “Many are retiring at a pretty young age and will be living longer,” he told attendees at Sage Advisory’s Perspectives on the Future 2015 conference in Austin on Monday. He said 30% would be primarily dependent on Social Security for retirement income. Furthermore, “employers aren’t our parents” and shouldn’t be relied on to make decisions about what health care or savings plans employers use. “Employers aren’t our friends. They aren’t our parents. They should be the hell out of this entire game,” Kotlikoff said. Clients’ ability to retire will be hampered by several issues, including the underfunded status of Social Security’s trust fund. He referred to Table VI.F1 of the Social Security Administration’s 2015 Trustees’ Report, which shows the trust fund is 32% underfinanced. “We all need to start paying four cents more out of every dollar we earn forever starting today in order to pay of all the benefits the Social Security system has scheduled,” Kotlikoff said. Another problem is that investors aren’t maximizing the Social Security benefits they could receive, he said. He described one woman who reached out to him after reading his book “Get What’s Yours: The Secrets to Maxing Out Your Social Security” because one of his suggestions, she claimed, was wrong. 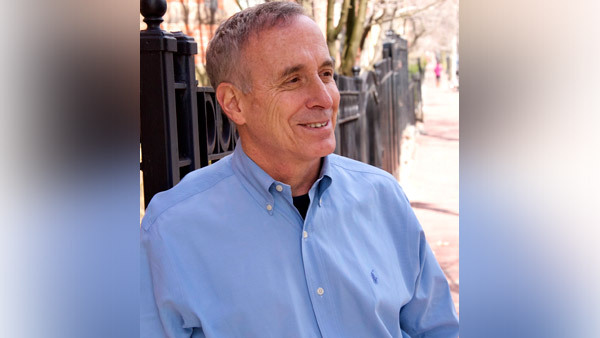 Kotlikoff and his co-authors wrote that if retirees take their Social Security benefits early, when they reach full retirement age they can suspend their benefits and start it up again at age 70. The woman tried to follow that suggestion, but was repeatedly told by people at Social Security that she couldn’t do so, even after escalating her complaint to supervisors. “The idea that you need to spend in order to grow is just completely uneconomic, but it connects to the politicians wanting to get re-elected,” he said. Ways to raise that living standard floor include taking benefits at the right times, figuring out what state they want to retire in, deciding whether they want to downsize their home or purchasing inflation-adjusted annuities. Insurance also helps with consumption spending, whether it’s health insurance or auto insurance, according to Kotlikoff. The board's new Roadmap gives financial planners simple breakdowns of complicated processes and client meetings.